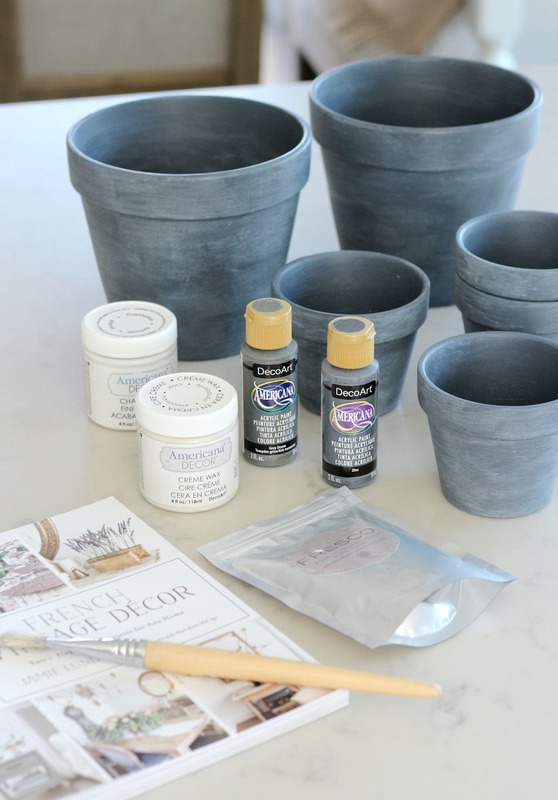 Learn how to create these concrete painted pots that were inspired by my friend Jamie’s new book, French Vintage Decor. 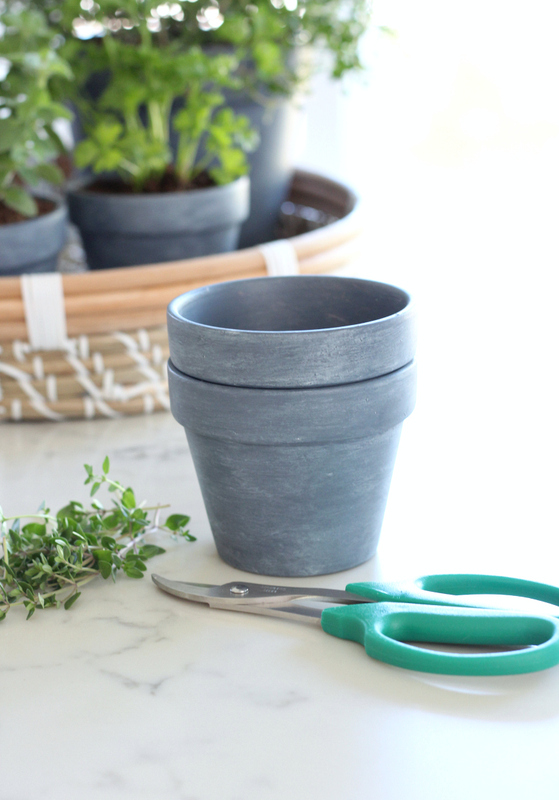 Perfect planters for an indoor herb garden. Happy Wednesday, everyone! 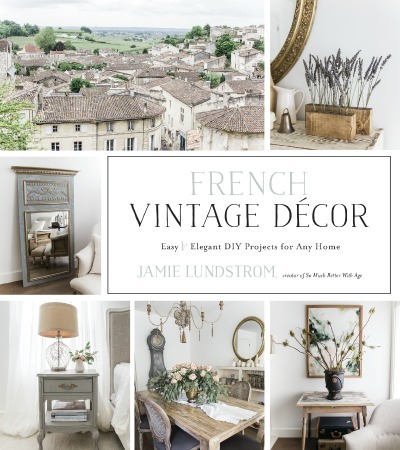 I’m excited today since I’m finally able to share my good friend Jamie’s beautiful new book, French Vintage Decor. We’ve been chatting about it for over a year, and I know how much hard work and effort she’s put into getting to this point. Not only is Jamie incredibly talented, she also has the kindest heart and is someone I admire for her determination and resiliency. Totally beautiful inside and out! She’s a fellow Canadian gal too. 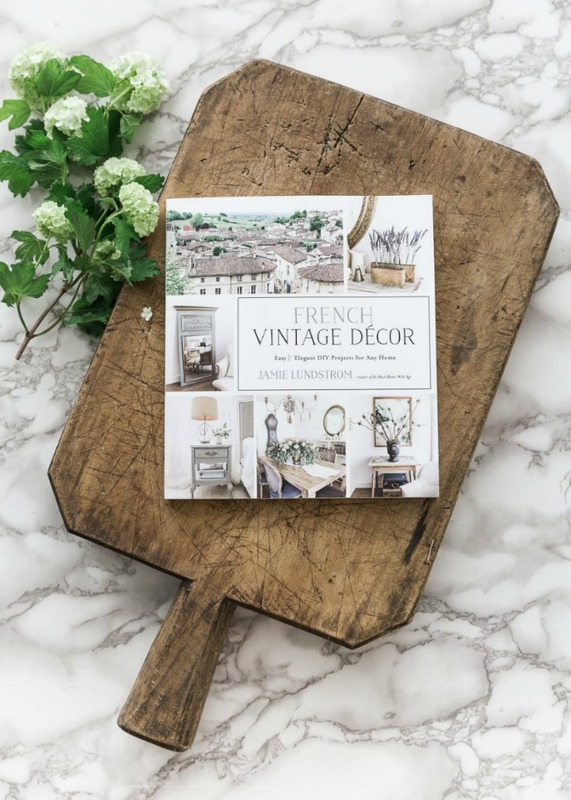 Some of you may already know Jamie from her blog, So Much Better with Age, where she shares her love of French vintage decor. Naturally, her book is an extension filled with rustic and elegant projects and ideas using easy-to-find and recycled materials, along with new. It’s already a best seller on Amazon! French Vintage Decor was kindly provided for review purposes. As always, opinions in this post are my own. As well, some affiliate links are included for the book and supplies in this post. Check out my blog policies here to find out what that means. Of course, I couldn’t wait to get my hands on a copy of this long-anticipated book. In true Jamie style, she sent it packaged so thoughtfully with a hand-written note and perfectly-selected gifts. So sweet! 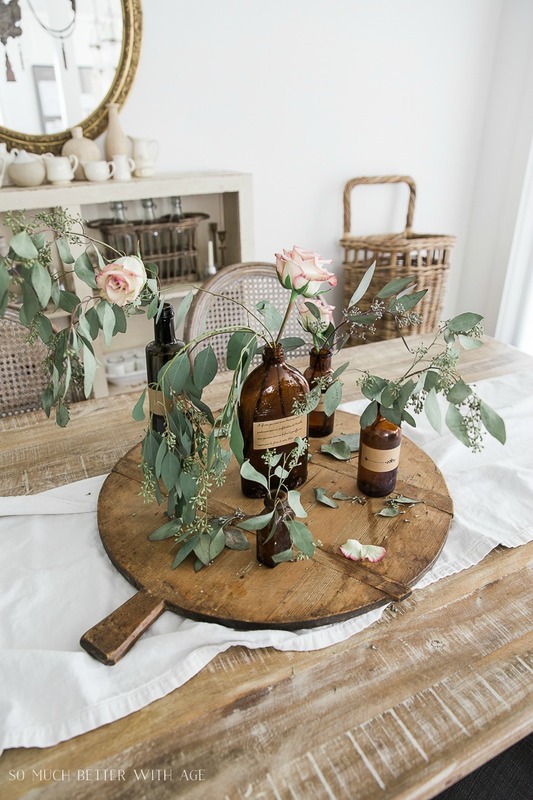 Flipping through the pages of French Vintage Decor is like taking a trip through France. Ahh… Have I mentioned how stunning the photography is? She’s a natural behind the camera. 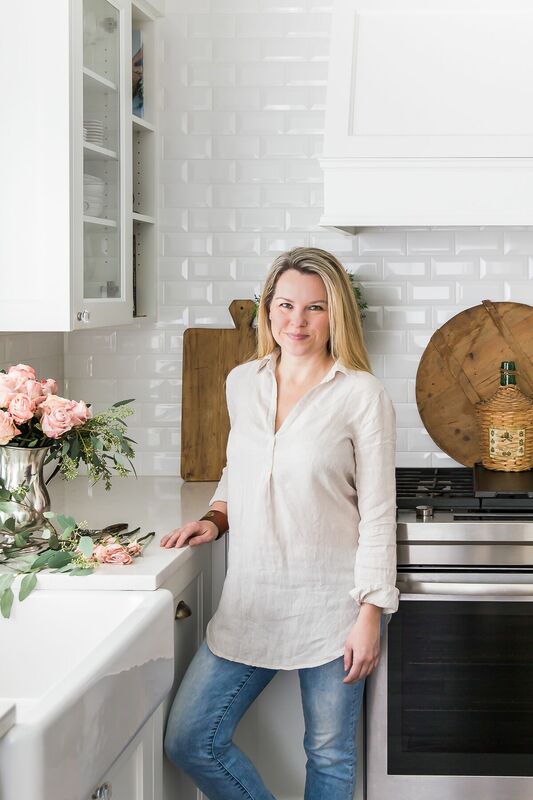 I love how Jamie breaks down each DIY project in the book and gives real-life styling ideas using her own home as the backdrop. Isn’t it pretty?! 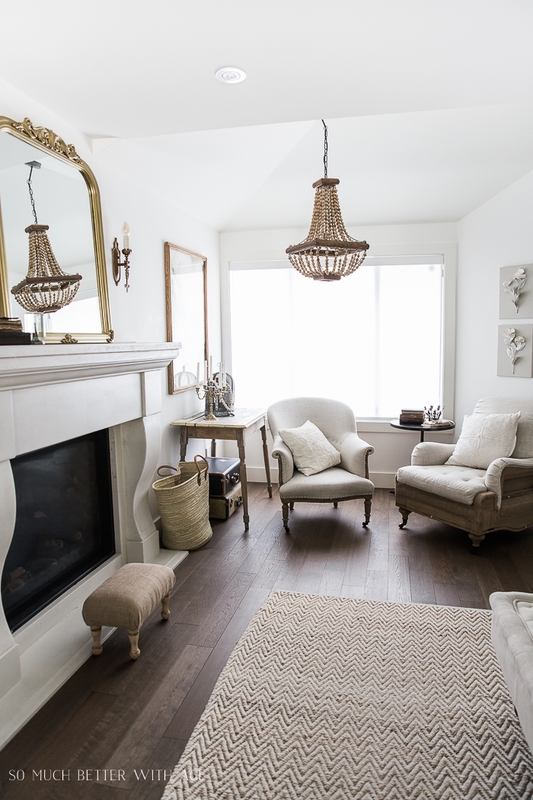 Want to learn how to make this gold ornate mirror she has sitting on her mantel? Find out on page 31 of the book. Honestly, you can do it! Or, what about these brown bottles with antique labels? They make a lovely floral display, don’t you think? 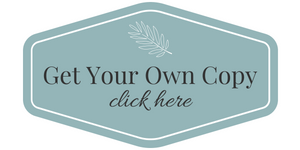 Get access to the free printables when you purchase the book. 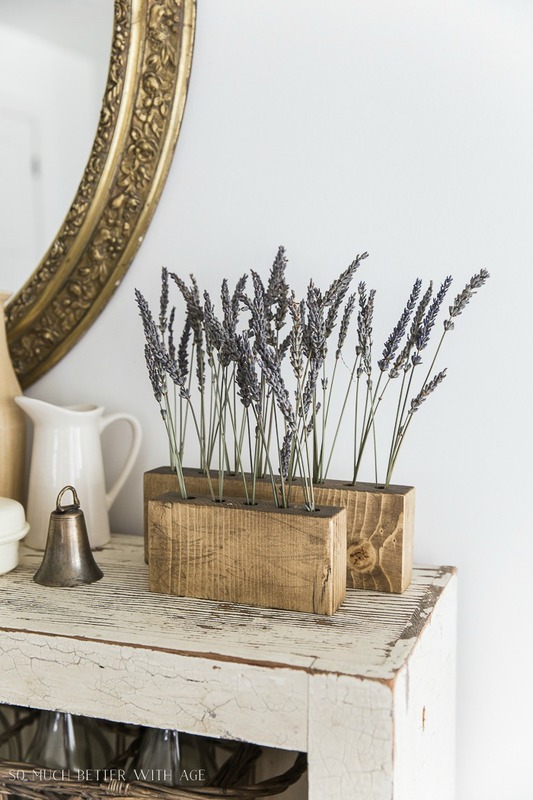 Maybe these repurposed drill bit holders with lavender are more your style? I’m making them for sure. You know how much I love my projects using lavender! I already have so many ideas flagged with post-it notes. And the best part is, I have most of the supplies on hand. Since summer is almost here, I thought I’d start with some concrete painted pots that come from the Parisian-Inspired Home Decor section of the book. 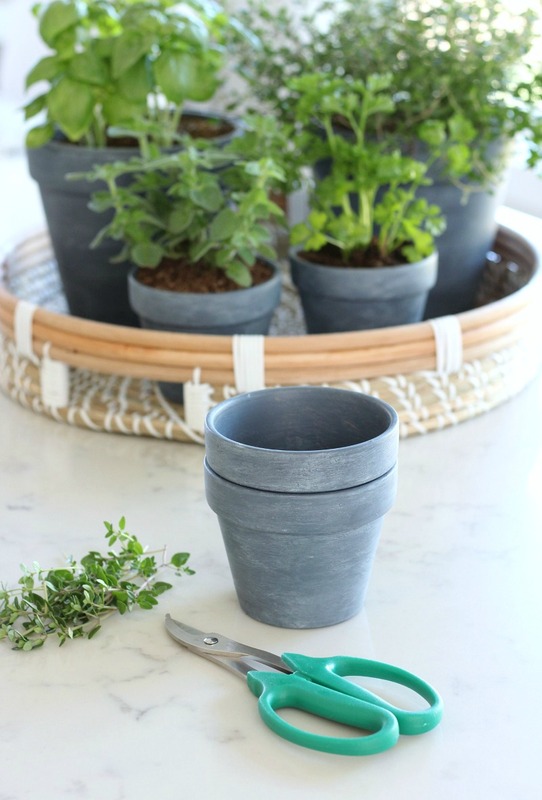 Take some inexpensive terra cotta pots and paint them to look like concrete. 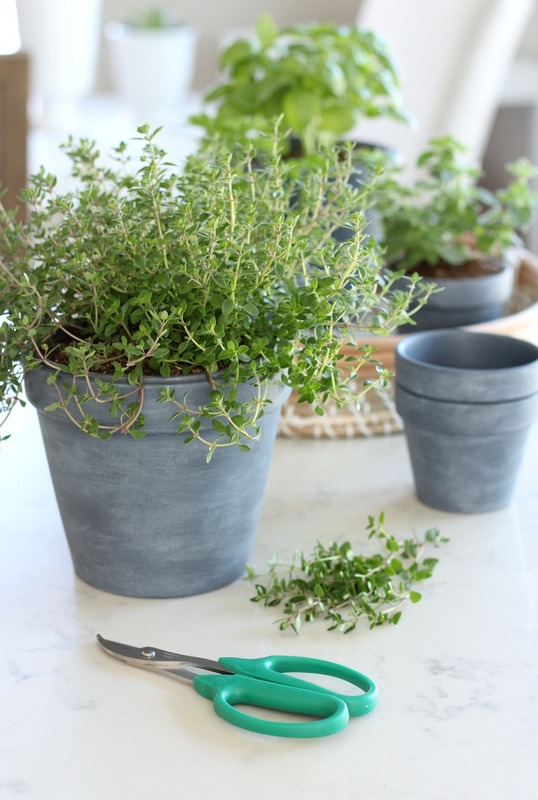 An easy, inexpensive and fun project anyone can do! Mix the charcoal grey paint with the chalking powder in a plastic container using a spoon. The mixture will be quite thick. 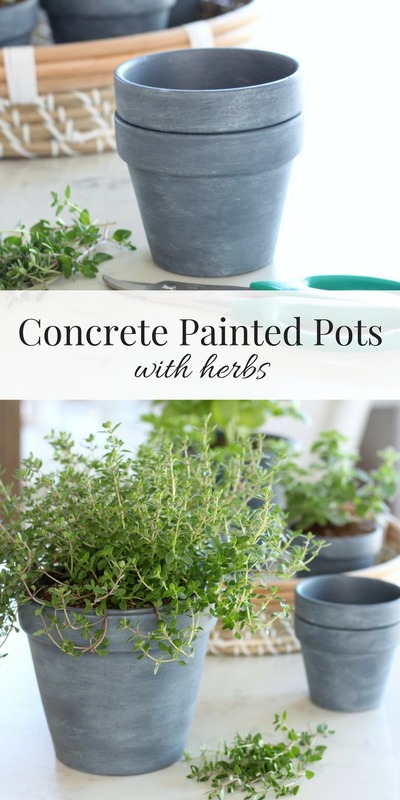 Using a brush, paint the mixture horizontally around each pot. The stiff brush will ensure brush marks are visible, which is the look you want. Allow to dry for 2 to 4 hours. Paint a second coat if needed for coverage or extra texture. Once fully dry, dip part of the cloth into the white wax and rub all around the pot. Remove excess with a dry part of the same cloth. The white wax will get into the textures of the paint to give you the dimension of concrete. You can always go back and paint more grey if it gets too white for your liking. Play around. I finished my concrete painted pots off with a second coat of clear wax for durability. 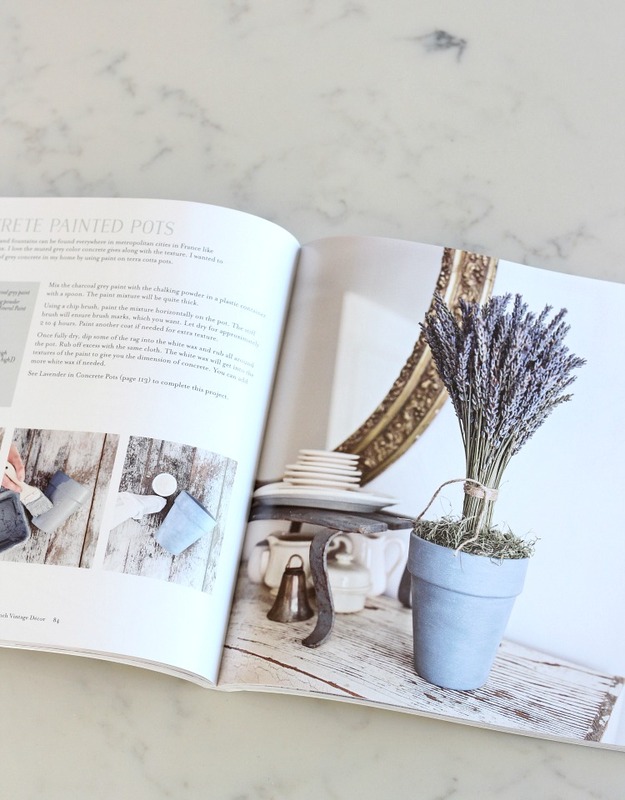 In the book, Jamie shows you how to take these concrete painted pots and turn them into a beautiful French display using lavender. So pretty! I decided to fill mine with herbs for now, but succulents would look fantastic too. With the herbs, it’s handy snipping just what I need for summer dishes like herb grilled chicken and spinach basil pesto. Ready to Get Your Hands on this Gorgeous Book? Admire Jamie’s style and decorating ideas, too? I encourage you to order her book through Amazon (CA or US), Barnes and Noble or Indigo. 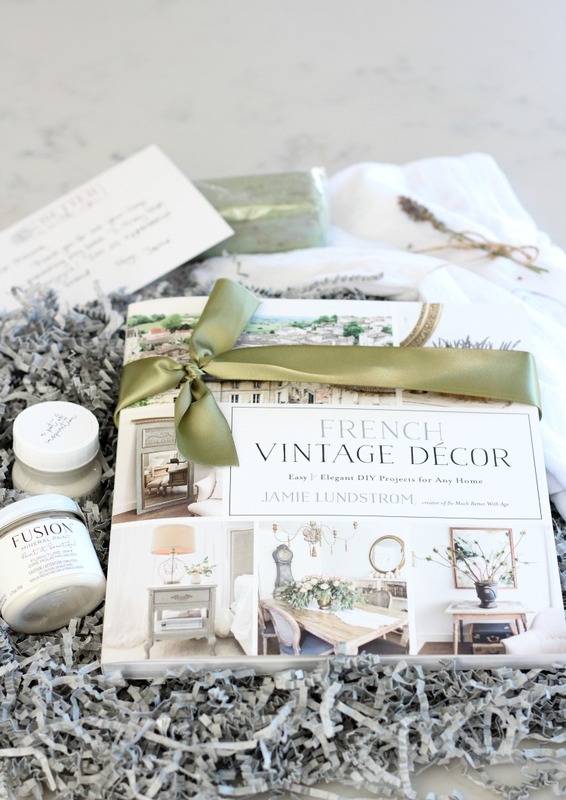 Want to win your own signed copy of French Vintage Decor? Those pots are fantastic. Looks like a beautiful book! I love all the great decor ideas! Inspiring!! This book looks like it is full of awesome decorating ideas! Perfect for someone that has a whole house she is trying to decorate on a budget! Wow, Shauna! You did an amazing job, my friend. 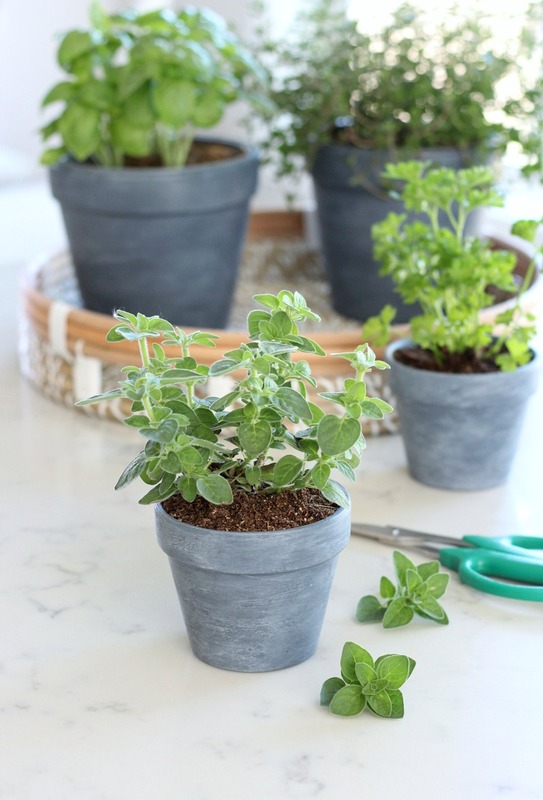 I LOVE how you made these for an herb garden. You’re such a good friend to me. Love you! Took one look at Instagram this morning and had to pop over for more details. Beautiful book and a beautiful post! I have put this book on my wish list! I like that it’s full of DIY projects. I love decorating my home with handmade items. There are already so many ideas on this post and her Instagram, I would really love to read the rest of them!! I would love to win!!! I love the French culture so so much and one day I hope I can visit France, but this beautiful book would be a good substitute for now! The projects in the book sound really inspiring. I just love everything Jamie does and her photography is amazing! I want this book on my coffee table. I am inspired by all her simple DIY.